How to Avoid Gmail Promotions Tab? Why “promotions” tab might be not that bad for your email marketing. What technical characteristics can you change to reduce the probability of your email landing in “promotions”. How can you change the content of your email not to look like a promotion. 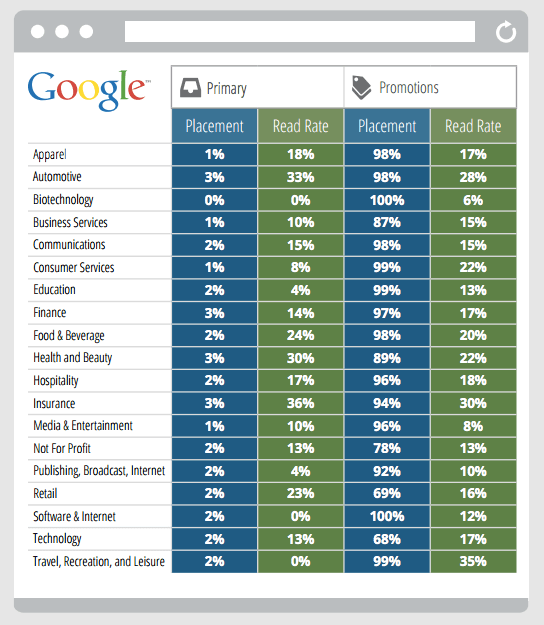 Most likely a huge portion of your email audience uses Gmail as their email client. As you know, a couple of years ago Gmail introduced three tabs – “primary”, “promotions”, and “social”. And since then most of marketing emails and promotional offers go to “promotions” tab. In theory, the “promotions” tab can seriously affect your open rates, because most of your emails end up there and plenty of people simply never check it. One research shows that as soon as “tab buzz” went down, the Gmail open rates went down too. In practice, your attitude to “promotions” should depend on your business goals. The truth or not, studies show that users continue to read emails ending up in “promotions” and the open rate did not change dramatically and stayed almost the same. After “promotions” folder was introduced, for some industries open rate became even higher. There is no wonder in that people have just got used to new feature and now know where to look for what they want. If your goal is to stand out among other emails, you should definitely try to look for ways to avoid “promotions” tab. How come emails are tagged as promotions? Gmail sort incoming emails into these three tabs based on complex algorithms considering content, engagement and sender information. However, it is much better if your emails land in “primary” folder as it makes them stand out immediately. Some people say there is no proven way to beat Gmail algorithm, so only your subscribers can move your email from “promotions” to “primary”. Other people are less pessimistic, because there are plenty of examples when marketing emails regularly end up in “primary” tab. Let’s see what you can try to do to get your emails delivered to the “primary” tab. Most likely you are using an ESP, or email service provider, for your email marketing. Very possible that it is Mailchimp, especially considering their free limit (up to 2,000 subscribers and 12,000 emails per month). 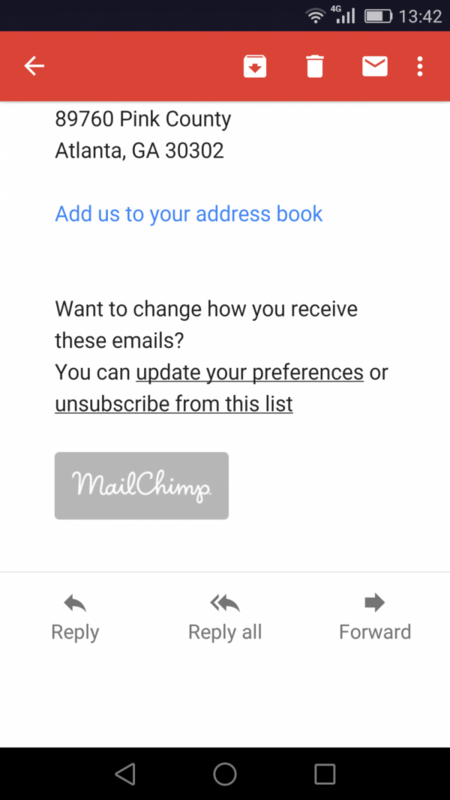 But if you are using free Mailchimp, they add their logo to every email you send. Gmail reads it as a definite sign of marketing email and will put your email into “promotions”. For paid users the situation is not better, Gmail easily detects their emails as promotion and they end up in the promotion folder, even if it is just a plain text. There is a lot of information hidden in email headers. The attributes like X-Mailer, X-Campaign, and X-Report-Abuse give your marketing email away and make Gmail put it in “promotions”. Another thing that gives you away is when Reply-To does not match From header. So, the advice is not to include at least X-Mailer and X-Campaign headers. Some people state that X-Report-Abuse and List-Unsubscribe should work ok, but you need them anyway in order not to abuse CAN-Spam act. Moreover, make sure that From and Reply-To email addresses are the same. Unfortunately, it is impossible to adjust these headers directly in Mailchimp. But there are other EPS where it is possible. Mandrill is Mailchimps’ API (application programming interface), here your can manually change attributes of your header and much more. 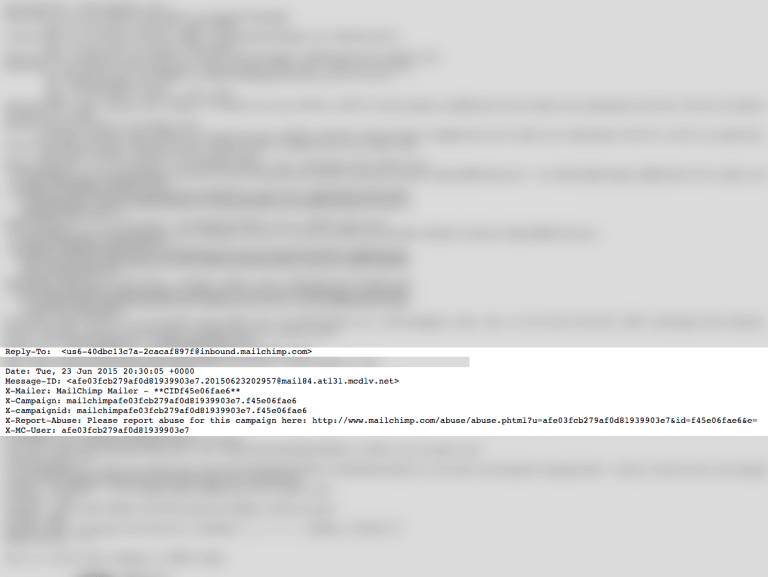 Basically, you need an API or EPS where you can edit header attribute. However, there are some EPS that showed good results even without this feature. Infusionsoft is marketing automation software that has a basic drag-and-drop email builder. Very often emails sent through this system end up in “primary” tab. Active campaign is an email and marketing automation provider. Emails sent via Active campaign also tend to go to “primary” tab. In many ways Gmail algorithm sorts emails based on typical features of marketing and promotional emails, so, you can try changing the contents of your email to make it look less promotional (it doesn’t really work in case of Mailchimp). In general, minimalistic email design tend to show better results than HTML-heavy emails. Here are some tips that could help you disguise your marketing emails. You are trying to make your email not to look like a typical marketing campaign. The best way is to start with subject lines. They should be short because people in correspondence with each other rarely use long subject line. When you write to your friend, client or colleague, you usually address them by name. The name of the addressee in the first line helps to avoid “promotions” tab. Emails that contain words that have been reported as promotional or SPAM can contribute to being marked as “promotion”. For Gmail if you include tons of images in your content it clearly shows that it’s a promotion. So, reduce the number of images to the minimum. It is not necessary to get rid of them all (you can test it), because almost all of the marketing emails that land in “primary” folder have up to 3 images. Abundance of links is also treated as a definite sign of promotion. Thus, keep the number of links low and less than five. More than one column and several blocks will definitely make Gmail think that you are not a person. Moreover, there is a correlation between HTML density and inbox placement and plain text email has more chances to end up in “primary”. Different fonts and font colors could also be treated as a sign of promotional email. Your unsubscribe link should be as subtle as possible and remind an email signature. RSS feeds are detected by Gmail and immediately sent to “promotions”. You can find some additional information in Gmail bulk sender guidelines. It is not impossible to make your emails land in “primary” tab in Gmail. There is a range of tactics that can help you to reduce the probability of your emails ending up in “promotions”. They include both technical and content adjustments. There is no fire-sure way to guarantee that your emails will be in “primary” tab. Anyway, when battling with Gmail algorithm you should consider, if your effort and time spend on finding the right combination of factors that makes your email land in “primary” really worth it.